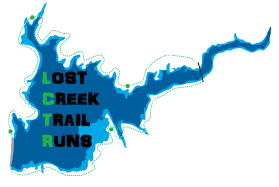 50k Registration is $60 ($55 for Southern Oregon Runners members) through December 31, 2018. From January 1 until APRIL 1 it is $70 ($65 club members), after it is $80 and $70 for club members. 30k Registration is $40 ($35 for Southern Oregon Runners members) through December 31, 2018. From January 1 until April 1, it is $50 and $40 for club members, After april 1 it is $60 and $45 for club members. 30k Relay Registration is $55 per team ($50 for Southern Oregon Runners members) through December 31, 2018. From January 1 until APRIL 1, it is $65 and $60 for club members, After april 1 it is $75 and $70 for club members. 5k Registration is $20 ($15 for Southern Oregon Runners club members) through December 31, 2018. From January 1 until APRIL 1, it is $25 and $20 for club members, After APRIL 1 it is $30 or $25 for club members. Southern Oregon Runners, a local non-for-profit running organization, covers all of the processing fees and provides chip timing for each distance of the race. The race is a non-for-profit made up of a volunteer staff. All proceeds benefit local running charities. We were able to raise $7000 for charity in 2017 and another $6500 in 2018.